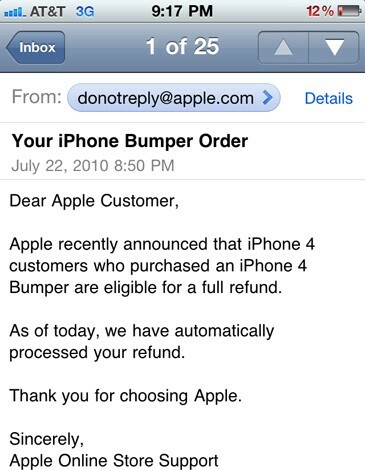 If you purchased a bumper case for your iPhone 4 before the Antennagate debacle, check your emails and your bank account, for Apple is starting to automatically refund buyers for their iPhone 4 bumper transactions. Details are thin on the ground but the guys at Engadget managed to grab a copy of one of the said emails, clueing us into what Apple were actually up to. 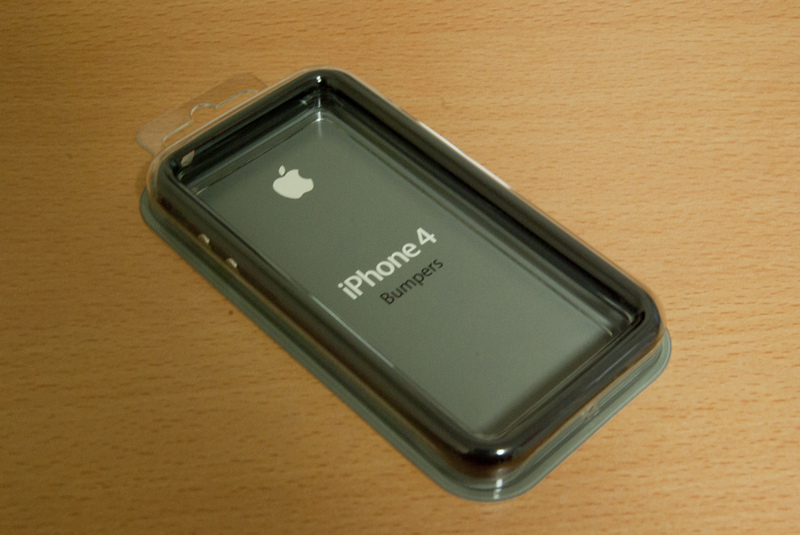 We assumed customers would only get a refund for the bumper cases if Apple had a record of the customer also obtaining an iPhone 4 (would Apple would refund Uncle Joe for his birthday present purchase?). It’s estimated that the free bumpers will cost Apple upwards of $175 million, a heavy price to pay.